Truffle recipes are pretty simple because the other ingredients serve only to enhance this exquisite fungus. But… in this case, it more than mandatory that these ingredients HAVE to be of the highest quality. Also because as truffles cost so much, you would waste money. White truffles are more valuable than the black ones as they have much more aroma and are more rare, but the recipes are the same for both. The best way to eat truffles is to eat them fresh during their season. It is not easy at all, as the maximum they can last is 2 weeks into the fridge (taking care of wrapping them with paper to keep their humidity – never put them into plastic bags for storing as they will go mouldy). Connoisseurs advice: you need from 5 to 10 grams for a good dish. Put abundant salted water to boil. Add the fresh pasta and let it cook (it doesn’t take long – less than normal dried types). Drain the pasta and dress it with the butter. Serve it adding the sliced truffle on it (each guest will mix it while eating). 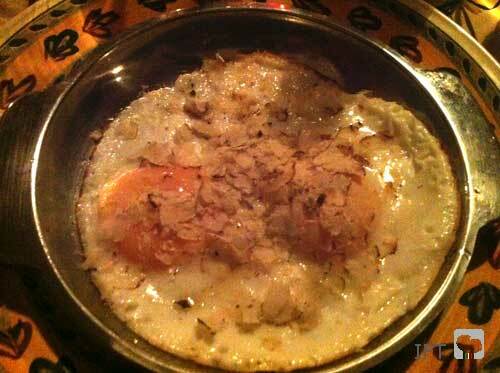 The most know recipe for truffles is with fried eggs. Pretty simple and considered the best way to enjoy this gourmet delicacy. Just fry the eggs as you see below, taking care of not letting it overcook on the borders, as its taste could overcome the truffle one. 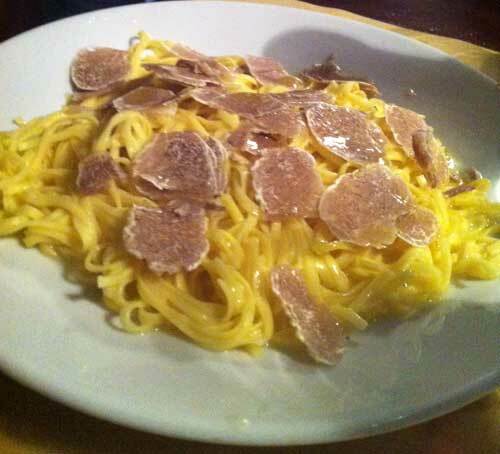 Right before eating, grate the fresh truffle above (as you see below) and enjoy! 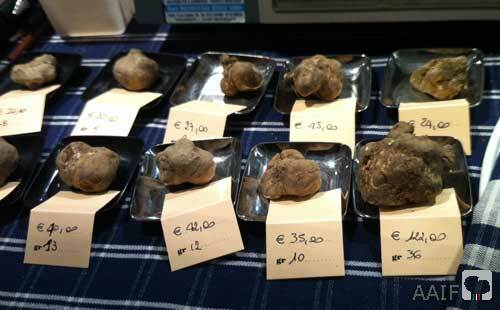 The photo below was taken by me during the World Truffle Market in Alba (Piedmont, Italy) on November 10th 2012 . As you can see, that day the gram was costing € 3,50 inside the market. The restaurants in Alba are very honest and clear with you, explaining that the value of the day is x per gram and often taking a small balance to the table. The average cost at the local restaurants was € 5,00/gram, and a good dish should be dressed with at least 5 grams, being perfect with 10 grams. The prices may also vary depending on the quality of the piece. It has a right growth time (even if it’s quite difficult to hunt for too younger ones as the aroma appears when it’s grown). Bigger ones worth more being more rare. I heard of an 800 grams one sold for € 3.000,00.